I graduated from vet school from Purdue University (West Lafayette, Indiana) in 1972. At the time of my graduation I was the youngest veterinarian in the country. I have been practicing veterinary medicine for over 45 years and still love every aspect of it. I lived on the Big Island for 3 years and had an opportunity to buy a clinic in Maui in 2010 and have been here ever since. I am an avid instructor, enjoy other water sports and just love being outdoors. Aloha! After vacationing in Hawaii since childhood, my family and I decided to escape the cold of Ohio and move to Maui permanently in April of 2017. In 2007, I graduated with a bachelor’s degree in Animal Science from Ohio State (GO BUCKS!) and incase you were unsure, I am a huge sports fan! My doctorate of veterinary medicine was earned from another OSU, Oklahoma State, in 2013. Following graduation, I completed a one year internship at Pittsburgh Veterinary Specialty and Emergency Center, focusing in emergency, internal medicine and surgery. I then moved back to Ohio, where I worked at a large referral center in emergency medicine before transitioning into general practice. In my spare time, I dabble in the guitar, try to catch REALLY big fish, like to sail and love spending time at the beach with my wife and kids. My family and I are absolutely blessed to be living out a dream of ours in Maui! Mahalo! I am the Practice Manager of Wailuku Pet Clinic. I love living in Maui. I have been involved in every aspect of veterinarian medicine(besides being a doctor) since the year 2000 and have enjoyed every minute of it. Taking care of clients fur babies is privilege and honor that I don’t take lightly. At home I have two feathered babies, Iman an African grey who is like my “5 years old” and Maka a parakeet who tries to sound like the parrot. My human babies are all grown up and living on the mainland Christopher, Brittany and Lyndsay. I also have 8 grandchildren, definitely loving life! 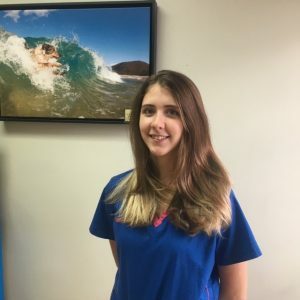 I’m Brittany Peterson, supervisor and lead assistant at Wailuku Pet Clinic. I have been with the clinic since May 7h, 2011. I have seen a lot of changes through the years and am very happy I have been here since nearly the beginning with the new ownership of Dr. Jeffry Morrison. I have two boys, Isaiah and Ian, they keep me extremely busy and we love going to the beach and hiking to explore the beautiful island we live on here in Maui. I took a short hiatus to North Carolina over the summer and fall to be closer to other family. While I was there I met the love of my life Sam and we recently became engaged and he came back to Maui with me and my boys. I am very thankful to have him in my life. I love my job at Wailuku Pet Clinic and I thoroughly love taking care of our client’s fur babies. I was born on Oahu and raised in upcountry Maui my entire life. 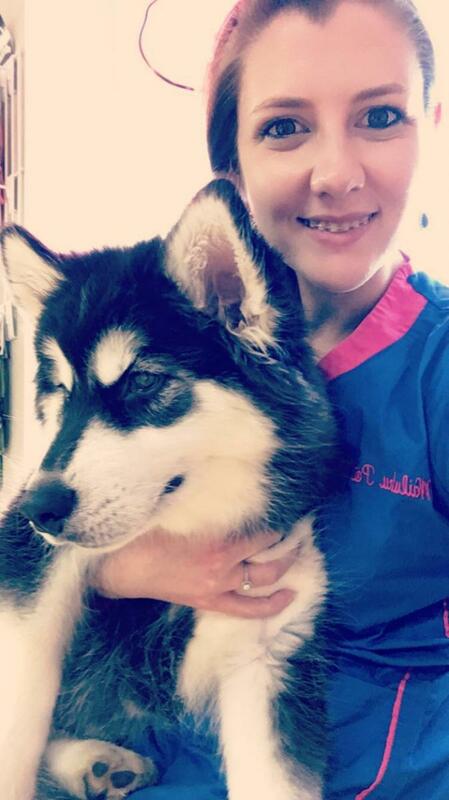 I am fairly new to the veterinary field, but have always had a passion for animals since I was a little girl. I have several fur babies of my own including two dogs and four cats. In my free time I enjoy playing and spending time with my animals, listening to music, being outdoors, going on adventures or just simply hanging out with family and friends. My long term goal working here at the clinic is to gain greater knowledge and experience working alongside such wonderful doctors in the field. I am currently attending school to get licensed as a veterinary technician and possibly in the future become a veterinarian myself or even start a rescue to help rejected/neglected animals. I feel it is very important to help keep animals healthy, safe, and alive, for me it is not just a goal that I plan to achieve, it is a mission I plan to accomplish. 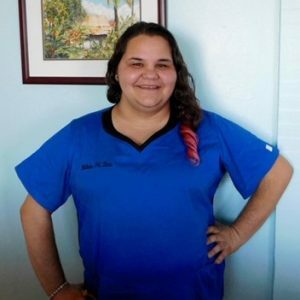 I am an avid animal lover and advocate of educating the community in regards to pet health and preventative issues. Maui has many veterinarians to choose from and we are grateful to all of our Ohana and pet parents that have chosen us as their primary care veterinarian. I’ve lived on Maui for 18 years and enjoy the beautiful beaches, incredible sunsets and volunteering to keep our Aina and oceans clean. I have many Hanai babies and always have room for more in my heart. The team at WPC is exceptional and we will always give our best to each patient. As a team, each of us get to go home knowing at the end of the day that we have done the absolute best for every patient. Aloha, I’m Lyndsay, and I’m a veterinary assistant here at WPC. I recently moved here from North Carolina and I’m very excited about starting my new career here at WPC. I have been around animals all my life and I was practically raised in a vet clinic. My mom has been a vet technician since I was 5 years old. I look forward to meeting and helping care for all the great patients we have a Wailuku Pet Clinic.